Picture Study and Composer Study are unique features of the Heritage curriculum. 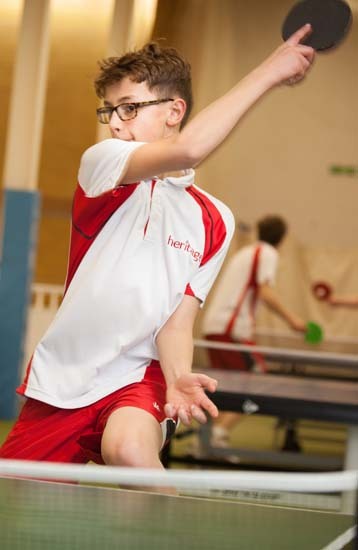 At Heritage we seek to develop keen powers of observation and attention to detail, and to develop the skills pupils need to accurately represent physical objects and create pleasing outcomes. 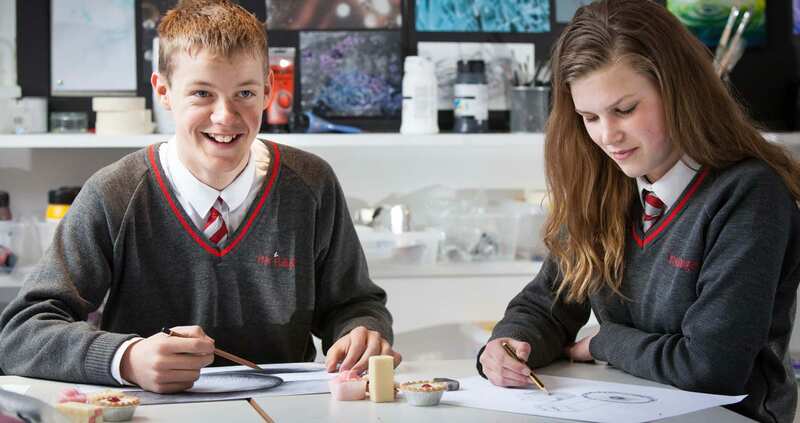 We want our pupils to develop an aesthetic sense, an appreciation of beauty, and an ability to express their own ideas effectively in their work. Representing and responding to the natural world plays a particularly important role, including through our Nature Walks and subsequent Nature Notebook. There are separate Art and Handicraft lessons each week for Infants and Juniors, taught by specialists from Upper Prep (Year 1). From Year 2 pupils go down to our basement Art Room and learn how to do many things from weaving on individual looms, sewing, clay work, and knitting to painting, sketching, observational work, pastiche and more. For our youngest pupils, art activities often allow them respond to what they have been learning about, such as painting a favourite part of a story, or looking carefully at a daffodil or holly leaf and copying it. There is an after school Art Club for Juniors which runs throughout the year. We focus throughout the school upon art appreciation. In particular, from Year 2 to Year 6, pupils do a Picture Study lesson each week. Following a brief introduction by the class teacher, pupils look in silence with concentrated attention at a reproduction of a painting by a famous artist. The painting is then turned over and its details are described from memory. In this way pupils study numerous works by that artist each term. Over the years they become familiar with a large number of great works by artists such as: Giotto, Leonardo Da Vinci, Vermeer, De Hooch, Holbein, Rembrandt, Titian, Constable, Monet, Manet, Turner, Cezanne, Rodin, Van Gogh, Degas, and Picasso. 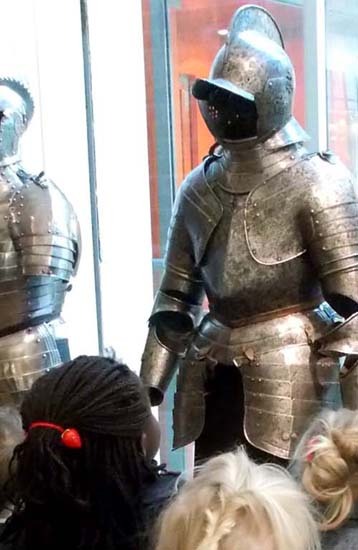 After studying so much art in this way, pupils take real pleasure when they are able to see the original in a London museum, or even a 10 minute walk away at the Fitzwilliam Museum. In the Senior School, pupils continue to appreciate artwork from different times and cultures as well as further developing their practical skills. Establishing good drawing techniques is emphasised. Encouraging powers of observation, sensitivity, imagination, conceptual thinking and personal expression are also key objectives. Years 7 and 8 have a double lesson each week during which they explore working in paint, print, 3D and mixed media. 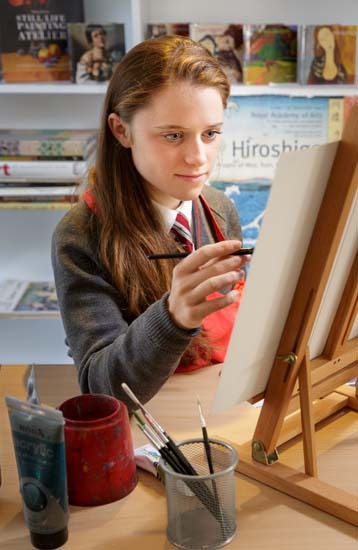 In Year 9, those pupils who have elected to study Art to exam level start addressing the assessment objectives for their IGCSE course as they focus on painting and related media. 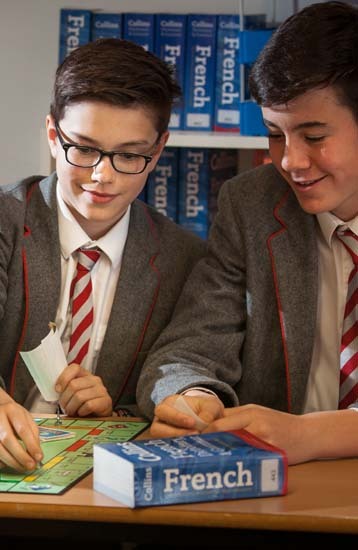 They begin their coursework in Year 10 and complete this assignment by the first term of Y11 after which the focus switches to the assignment associated with their exam paper. Our Music programme at Heritage aims to give pupils the confidence and skills they need to enjoy music throughout their lives, at whatever level they desire. From Lower Prep through to Year 8 all pupils have regular whole-class music lessons with a specialist teacher. Infants have one thirty-minute lesson each week, focusing on pitch matching, steady beat and composing, learned through games, movement and song. With two thirty-minute lessons each week Juniors learn and apply fundamental theory and composing skills through games and various composition opportunities. Additionally, Year 3 and Year 4 learn the recorder, Year 5 study the instruments of the orchestra, and Year 6 focuses on World Music. In Years 7 and 8 pupils have two forty-five minute music lessons each week. They spend time working in small ensembles and exploring composition using music software. Year 7 complete a brief survey of Western music history including jazz, which Year 8 then explore in greater depth. 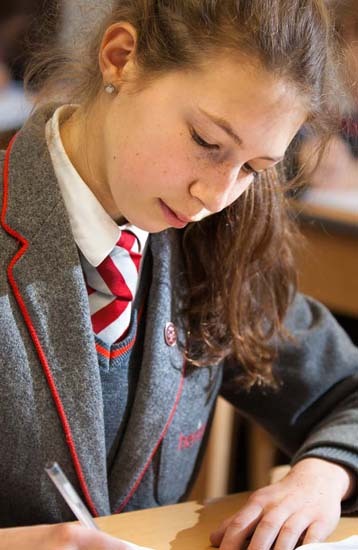 From Year 9 students may choose to continue with Music IGCSE, which focusses on performance, composition and music appreciation. The IGCSE syllabus we follow is Cambridge International Examinations IGCSE Music (0410). In addition to whole-class music lessons, Infants and Juniors have dedicated curriculum time for music appreciation. Infants learn about and listen to works by Vivaldi, Saint-Saens, Grieg, Tchaikovsky, Prokofiev, Mendelssohn, Verdi, Williams, and Chopin. Juniors have regular Composer Study lessons in addition to Music lessons, during which they read a biography of great composers – one each term – and listen to works by that composer. In this way, over four years, they learn about Mozart, Beethoven, Hayden, Brahms, Schubert, Chopin, Bach, Handel, Grieg, Schuman, and Paganini. We offer a wide variety of instrumental lessons with our peripatetic teachers: strings (violin, viola), brass (trumpet, trombone, tuba), wind (clarinet, flute, saxophone), piano, and guitar. There are also many performance opportunities: Junior and Senior Choir, brass group, Junior and Senior Strings, Junior and Senior Wind Group, Senior Orchestra, Senior Assembly Band, and a Recorder Ensemble. Pupils are also encouraged to perform in front of their class and parents in recitals held once a term in music lessons. More formal performance opportunities arise through Recital Assemblies which are held once a term and the Spring Recital, our annual school concert. With our central location, classes are also able to attend concerts at many of the amazing music venues in and around Cambridge. Music theory is also available as an afterschool club. Drama gives pupils an opportunity to grow in many important ways. 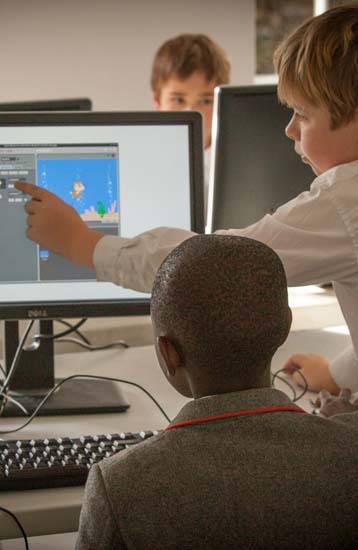 Pupils develop empathy with their characters in a unique way, confidence in themselves and their ability to express themselves publicly, and their capacity to work effectively with others as part of a team. They experience the excitement and sense of achievement that comes from seeing a production through from beginning to end, including all of the practical elements such as staging and costuming. While there are occasional opportunities to enjoy Drama lower down the school, such as during class assemblies and as part of our Enrichment Programme, Drama commences in earnest in Year 5. In that year, and again in Year 6, pupils perform a class play each year. This pattern continues in Year 7 and 8, with the advantage of pupils having a dedicated Drama lesson one day per week. Scripts are chosen to tie in with the curriculum, with a Shakespeare play being performed on alternate years. 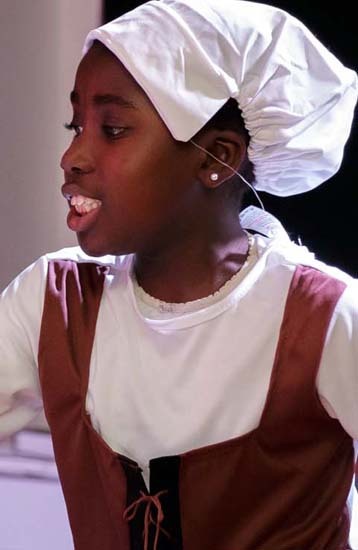 Our most recent productions have been Oliver Twist and Macbeth, which have delighted both audience and actors alike. Drama IGCSE is offered as an after school session once per week. The syllabus we use is the Cambridge International Examinations IGCSE Drama (0411).